An Englishman in Colombia: Pépes been to Pooches Parlour! Pépes been to Pooches Parlour! Pépe had his first wet shampoo, and cut last Saturday, he looks like a mini adult now!!! 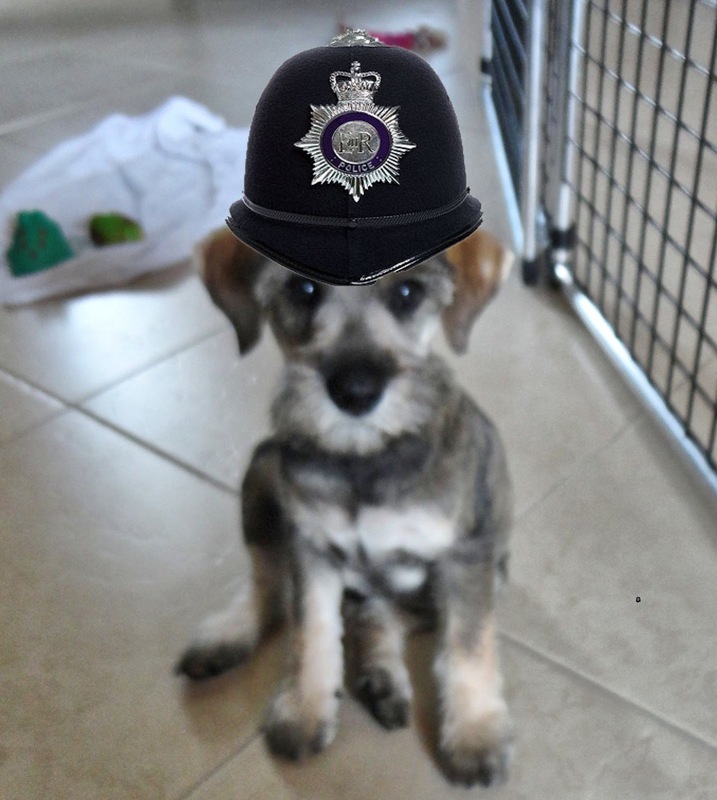 PC Pépe Reporting for Duty! My back went back to square one again, I was on the computer, with my headphones last week, when there was an ear piercing squeal, which made me jump and twist, causing my back to go pop again. What caused this squeal you to may ask? Pépe, is my answer, he has pulled the main cable out of the socket, putting the laptop on battery mode, the transition caused the noise!! Yes... He is still alive. We have not heard any more news from Spain, I was hoping we would have heard by now, and have fired off another email today, maybe we will know by the week-end. Today has been Dentist day for the both of us, just a check up, and thank goodness, we both passed, that's twelve months without a visit, but I guess he likes me, because he said he wants us to visit every six months from now on... nice man!! !